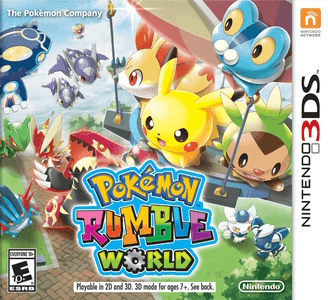 Pokémon Rumble World is a freemium action RPG developed by Ambrella and published by The Pokémon Company. It is the fourth entry in the Pokémon Rumble series. Pokemon Rumble World has major issues in Citra. Multiple levels experience hard-locking (the entire game freezes with the sound stuck on a loop), the soundtrack does not play and does not save data properly (on re-boot, mentions data being corrupted [unimplemented FS function]). It requires good hardware to achieve full speed.